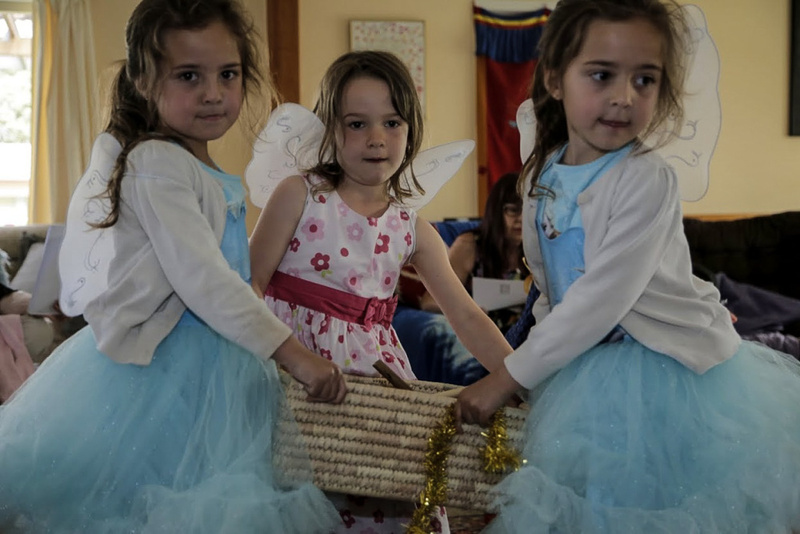 In 2008 Children’s Universal Worship began in Mt Eden Auckland. 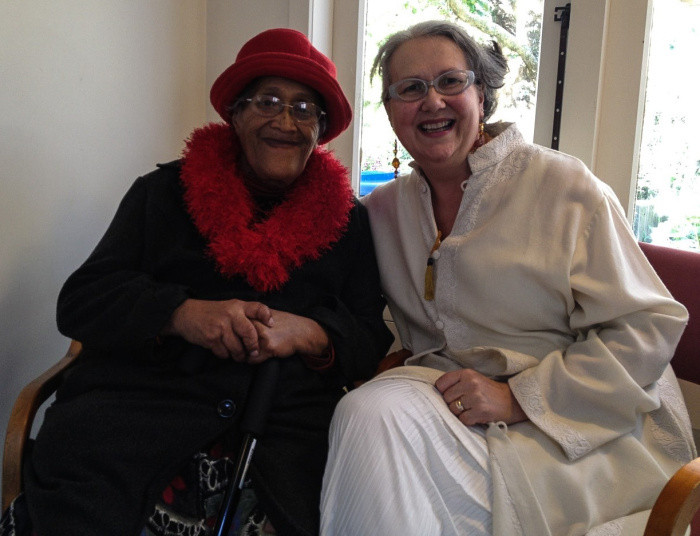 Since then we have gradually and slowly grown to include families from many different cultures and religions. 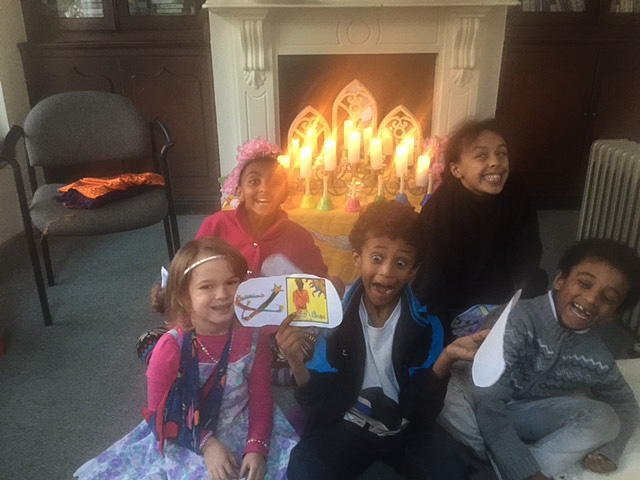 We have an Ethiopian Orthodox Christian family and their wider community coming to our events. Muslim and Hindu families also bring members from their communities to join us. Christian families and families from Yogi traditions come and bring their music for us. 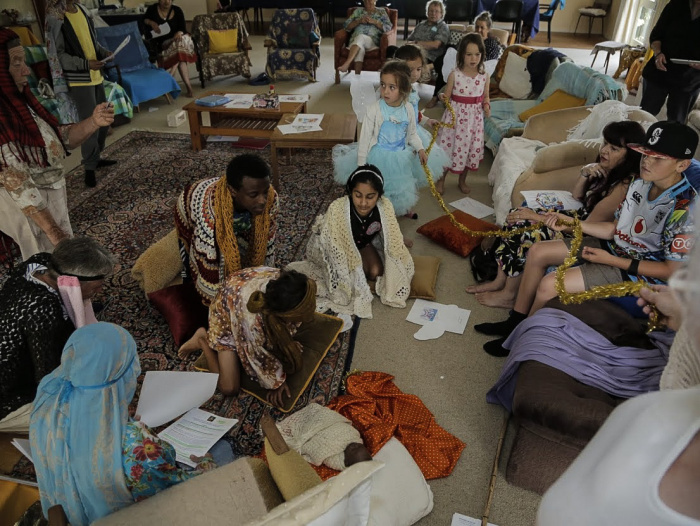 When we have our service in Tuakau there are people from many more spiritual traditions such as Sufism, Indigenous traditions and also from no particular religious faith. 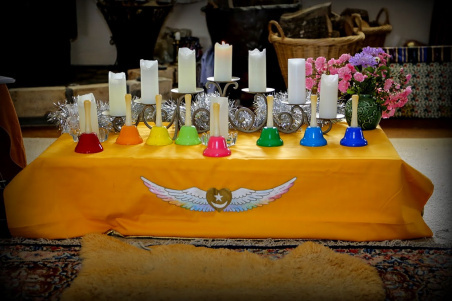 Universal Worship is an inter-faith service honouring the wisdom and light that is at the heart of all the world’s religious and spiritual traditions. The Children’s Universal Worship was developed by Murshida Vera Corda, an initiate of Murshid SAM. 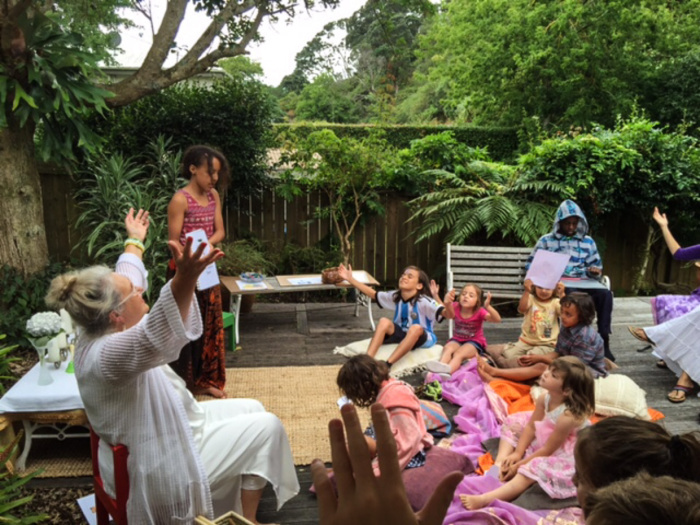 At our Children’s Universal Worship service both children and adults devoted to their own religions, or no religion, enjoy being together in an atmosphere of creativity, kindness and acceptance for their culture and what they believe. 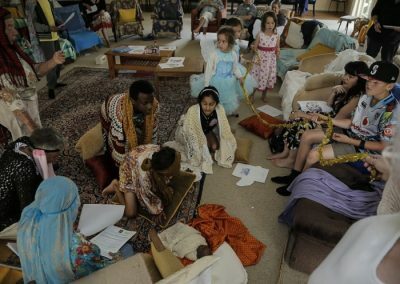 This can be a uniquely wonderful experience for them and most children and their families really enjoy the atmosphere of divine presence with the freedom of religious and social acceptance. 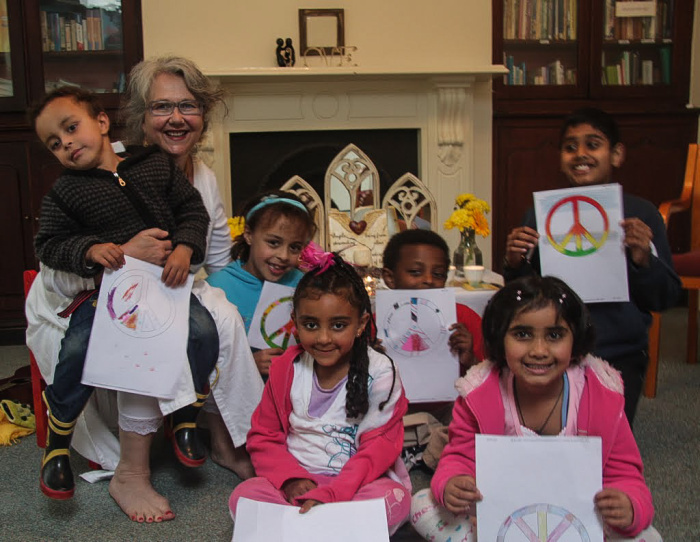 On a deeper level what is also allowed to happen through children seeing and feeling the value of their religion being honoured alongside other religions, is their view of God opens. It opens to difference, opens to new ways and beliefs and this develops a readiness for tolerance and a living experience that love and God are not limited. Children hear about the theme of the service and learn age-appropriate classical references about the theme of the day’s service. In the Children’s Universal Worship setting, they are relaxed and happy, making learning about the various names, symbols and stories easy to assimilate. These aspects of the service will perhaps over time become a known thing, but the hope is for the children during the service to feel close to God and to feel God’s divine presence expressing through them. 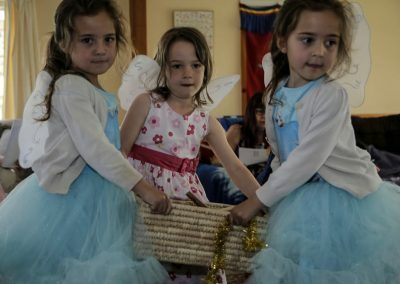 The service has a child-friendly flow with plenty of joyful singing using musical instruments, movement and dance. 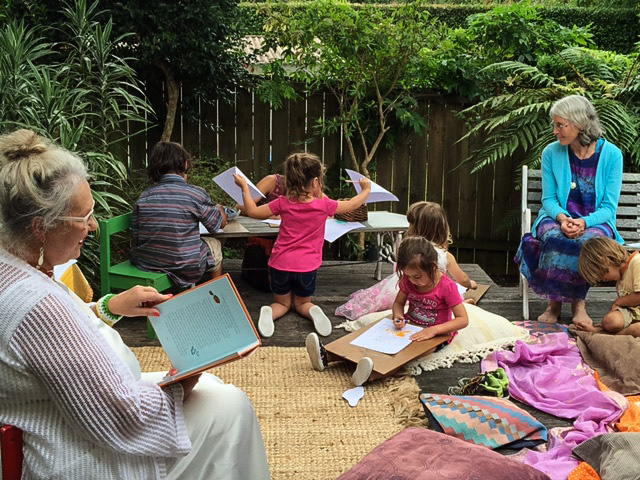 Each service there is storytelling and a craft activity which is a favourite with everyone. 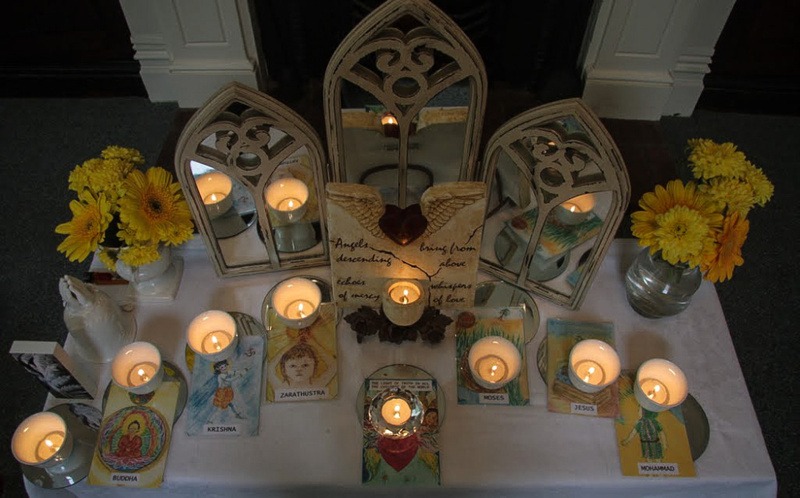 There is also time for a short contemplative silence and a group sharing and reflection upon our theme of the day. 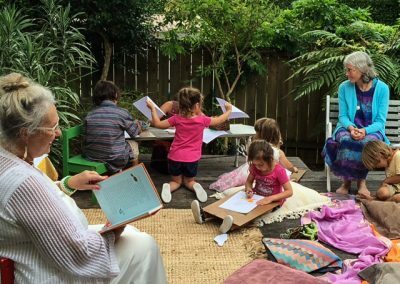 Each child is given a Memory Verse to take home that has a sacred phrase from the religious text correlating to the theme of the day. Our Indigenous peoples of the world, the Hindu religion, the Buddhist and Zoroastrian religions together with Jewish, Christian and Islamic religions. 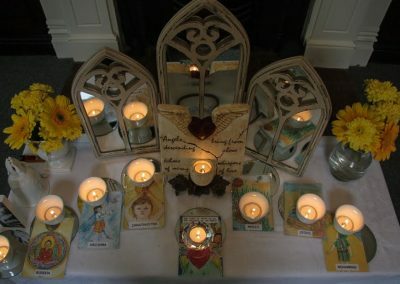 There is also a candle lit for all the children of the world. 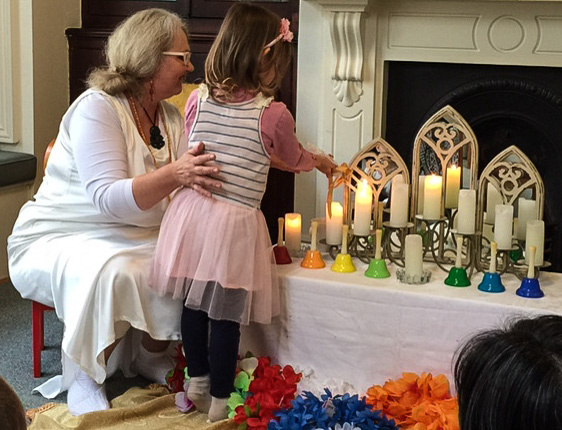 During the service the children take turns these lighting candles and ring bells. The theme of each service is chosen with an attempt to follow the current yearly calendar of the world’s religious festivals. And many other services that help build appreciation for each other’s traditions in an atmosphere of joy and playfulness. 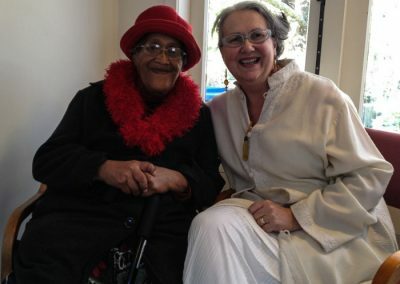 Murshida Vera Corda was a lifelong student of Hazrat Inayat Khan, dedicating her life to the message of love, harmony, and beauty. She was intitiated by Murshid SAM when she was 22 and was later initiated as a Murshida by Pir Vilayat Khan. Murshida Vera created the New Age Seed Schools after receiving a vision in which Murshid Sam (after his death) appeared as Shiva. He spoke to her three different times, saying “Watch my children, guard my children, guide my children.” Murshida felt she should reconnect with Sam’s children (mureeds of the Sufi Ruhaniat Islamia Society founded by Murshid Sam) and through this began the work of educating the children of his “children.” The curriculum she developed had its basis in the Sufi teachings of Hazrat Inayat Khan. The Seed schools sought to nurture all aspects of the life of the individual using developmental levels and learning centers for children. 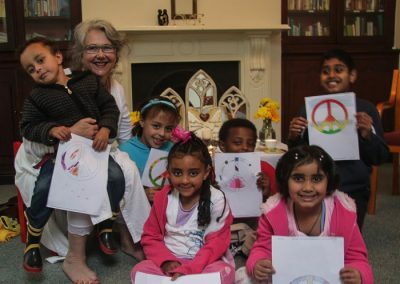 “We’re educating the five bodies which are developing within each child—the mental, physical, emotional, spiritual, and moral bodies,” explains Murshida Vera. 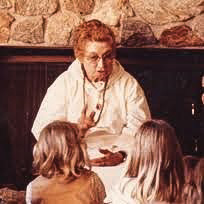 “We meet each child where s/he is, recognizing that each is an extremely complex universe.” The results of this work have been compiled into the book Holistic Child Guidance.